Gul: Are Pakistan’s Generals Finally Breaking with Taliban? When Pakistan’s army chief General Ashfaq Pervez Kayani begins his talks this week in Washington for the third round of the Strategic Dialogue, the desperate American military establishment is likely to confront him with an ambitious wish-list for action. And Admiral Mike Mullen, Chairman of the Joint Chiefs of Staff, already unveiled part of that list. “”He (Gen.Kayani) clearly knows what our priorities are…North Waziristan is the epicentre of terrorism, it’s where al-Qaeda lives,” ” Mullen said said in an interview on Bloomberg Television’s “Conversations with Judy Woodruff” broadcast this weekend. The US military considers the Haqqani network, led by Sirajuddin Haqqani, the eldest son of veteran Afghan mujahideen leader Jalaluddin Haqqani, as the primary source of violence, based in and around North Waziristan, spread over about 5000 square kilometers along the mountainous border to Afghanistan. Haqqani also shelters not only Arab Al Qaeda but also the vicious Tehreeke Taliban Pakistan, Lashkare Jhangvi, and a few splinters off the Lashkare Taiba and Jaishe Mohammad. The region is also called the hornet’s nest for the presence of anti-US al Qaeda-linked militant groups. The presence of the CIA-operated Chapman base in the Afghan town of Khost near North Waziristan is also meant to neutrlise the Haqqani network, which reportedly is also close to the Pakistani Inter-Services Intelligence (ISI) agency, one of the reasons, say American and Afghan military officials, Pakistan has been reluctant in mounting an all-out offensive against the Haqqanis. If what Mullen said of Kayani were true, this commitment could mean a turnaround in what Gen.Kayani, known as a cool thinking cat within Pakistan’s military establishment, has been peddling for months; Pakistan army itself would choose the scale and timing of any military campaign in North Waziristan, Kayani a told a group of journalists a few months ago. One of Kayani’s closest aides said last week North Waziristan remained a headache for his army, too. “Any major operation there would need proper saturation and that requires much bigger deployment,” said the 3-star general, who cannot be named for professional compulsions, told me. He pointed out that three army divisions plus two para-military divisions were already busy in South Waziristan. One full division is deployed in North Waziristan, while the rest are on duty in regions such as Mohmand, Bajaur and Kurram. It is meanwhile an issue of capacity and not will, the general explained, adding that the Corps 11, responsible for the entire northwestern region, including the federally administered tribal areas (FATA) is almost 100 percent deployed. We are simply stretched, he said. 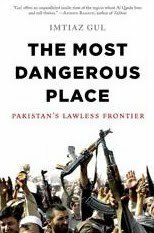 Another reason holding Pakistan from a full-blown military campaign in North Waziristan is the lethal nexus that currently exists between the radical Islamist groups living under Haqqani’s protection and many like-minded outfits operating in urban centres, particularly those based in central Pakistan – also called Punjabi Taliban. Pakistani authorities are also driven by fears of a widespread reactive violence – suicide bombings for instance – by these groups if their mentor Haqqani came under attack. Days before the latest correspondence between Gen.Kayani and Admiral Mullen, the bilateral relationship suffered a blow, when the Pakistani Army closed part ifs border to the NATO supplies to protest border violations by US helicopters, which also resulted in the killing three Pakistani soldiers on September 30th. The cargo resumed after a ten-day halt but – based on interviews with some of the most influential generals, it is safe to conclude that the resumption of the traffic through Torkham a week ago came at a relatively heavy cost, causing considerable ruptures in the U.S.-Pakistan military-to-military relationship that began two summers ago on board the USS Abraham Lincoln in the Indian Ocean in the summer of 2008, when General Ashfaq Kayani, accompanied by two aides, sat across the table to discuss his operational plans and limitations with five top American military officials including Admiral Mullen and Gen. Petraeus. At the center of today’s controversy between Pakistan an the United States stands the man who, along with Admiral Mullen, helped shape what many viewed as an unusual friendship between the two militaries: top U.S. and NATO commander in Afghanistan Gen. David Petraeus. Pakistani military officials, who once revered Gen. Petraeus as a talented strategist, are wary of what they call his “ambitious plans” for the Af-Pak region. “We think we have checkmated Petraeus and thwarted his designs to impose a new hot pursuit paradigm on us,” a senior Pakistani military official explained to me, amidst the backdrop of border violations by NATO choppers. Some officials in the Pakistani Army believe Gen. Petraeus deliberately sent his men into hot pursuit of suspected Taliban fighters. With this, he may have wanted to gauge the Pakistani reaction before intensifying the U.S. military campaign into Waziristan. “We were left with no choice but to convey that the U.S. and NATO cannot take anything for granted, and we already are paying a very heavy price for our cooperation with the Western forces,” the official said. Government officials believe that the country already is paying a heavy price and cannot put up with the ambitions of Gen. Petraeus, which are likely to have long-term implications for Pakistan. That is why, it seems, the Pakistani government and the army are also concerned about the seeming American desperation to woo key Afghan insurgents into talks via Saudi Arabia, which wields considerable influence over important Afghan insurgent leaders such as Mullah Omar, Gulbuddin Hekmatyar, Professor Sayyaf, and some Kandahari businessmen who had allegedly also been friends with Mullah Omar. For the Obama administration, opening up space for talks holds the key to what some analysts call the ‘endgame.’ But this phrase raises alarm in Pakistan. Most analysts in Pakistan contest this phrase; it may be the endgame for the U.S. and NATO, but not for Pakistan which faces a battle for long-term survival as a permanent neighbor of Afghanistan. “We shall have to find a mutually beneficial way — not to the exclusion and detriment of Pakistan — to marry the short term American objectives with our long time interests. They should try to understand it can’t be an endgame for us,” insisted one of the generals. And near history is probably a good guide to follow that advice: an over-ambitious and reckless Pakistan and a disinterested America ignored the importance of an endgame after the Soviet withdrawal from Afghanistan in 1989. Both allowed warring Afghan factions to fight it out among themselves, rather than helping them put a power-sharing mechanism in place. The result: Afghanistan descended into factionalism and chaos. It now threatens Pakistan too.